On Friday 8th February, UK wind generated at 74% of its total capacity - the highest level of the year so far. The weakening of the wider fuels mix wiped out the UK power curve’s upward movements before 8th. System operator called on pumped storage hydro to both consume more and increase generation. High wind forecasts pushed down the day-ahead price to its lowest point since mid-June 2018. 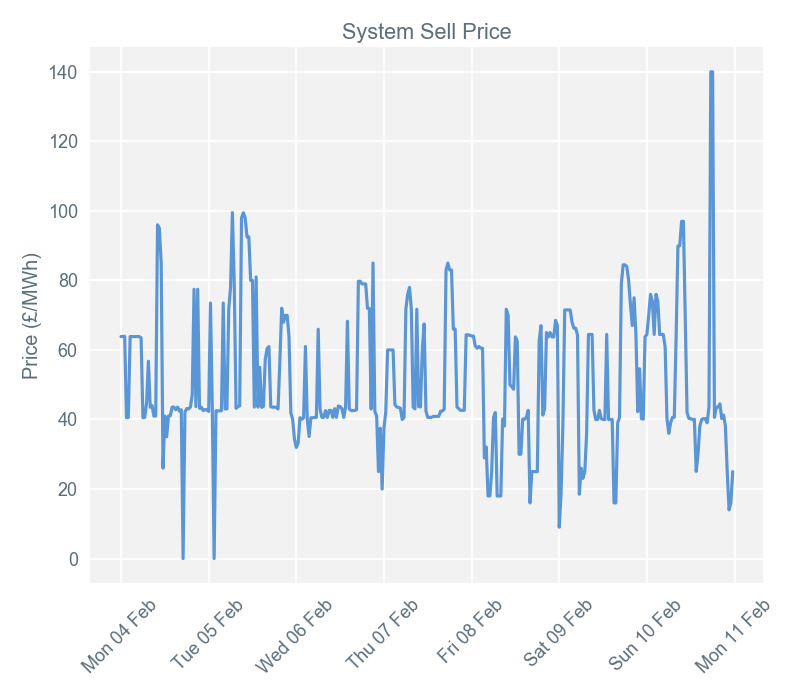 Day-ahead prices averaged £52.05/MWh over a week of few fluctuations and high levels of wind. 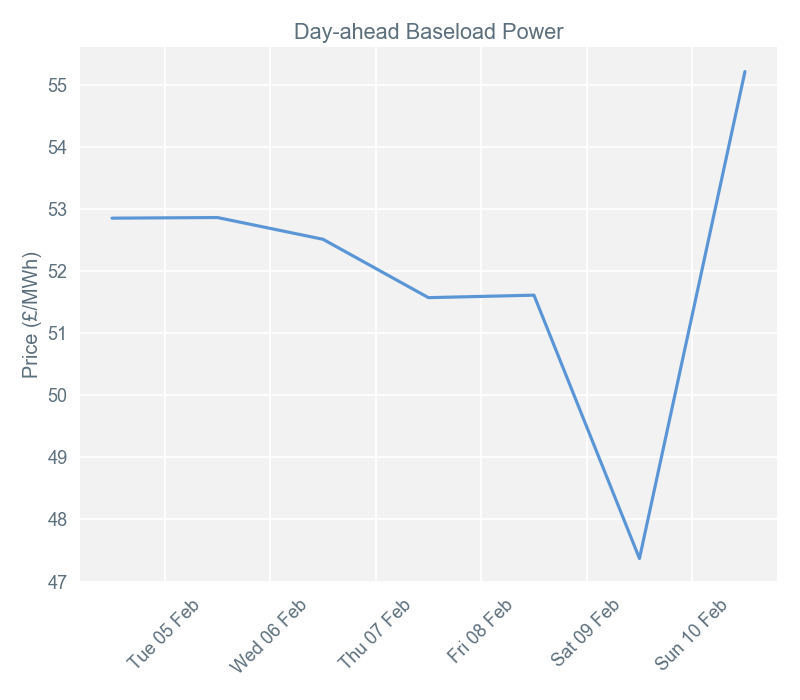 Baseload power for delivery on 10th February was the highest price for the week at £55.18/MWh. This was due to temperatures forecast to drop, increasing the demand for gas (to be used for heating and power generation). 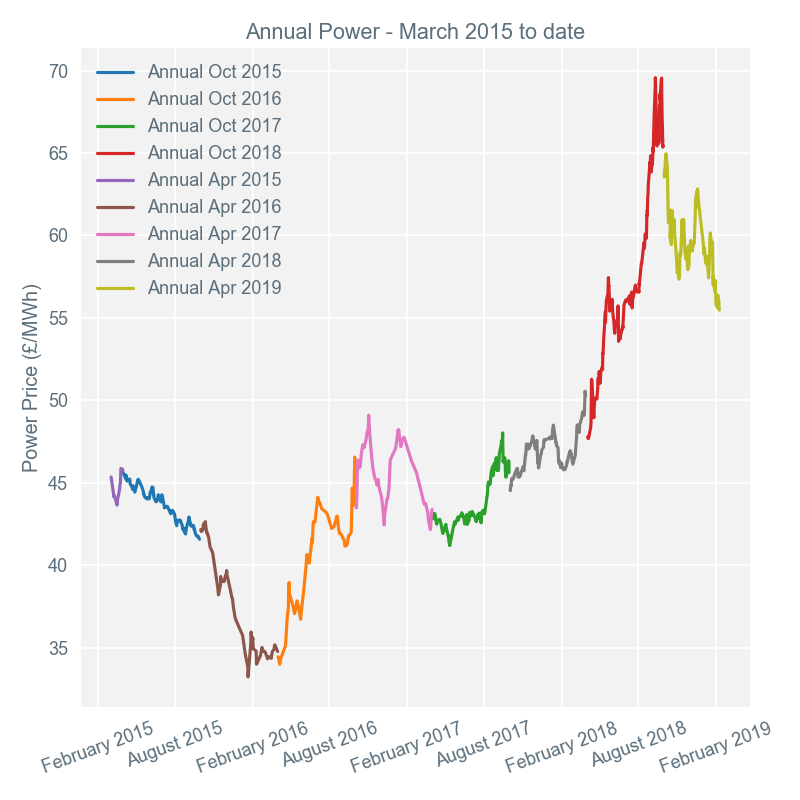 The lowest price for day-ahead baseload power delivery - and the lowest since mid-June 2018 - was £47.52/MWh for 9th February. This was when wind output was expected to peak at 13GW (it reached 15.1GW) and milder temperatures - compared to the rest of the week - were forecast. This lowered the expected levels of demand for more expensive means of generation. Both settlement periods 36 (17:30 – 18:00) & 37 (18:00 – 18:30) on 10th February shared the highest imbalance price during week 6. With demand steadily increasing over the day to 42GW, and with solar and wind generation decreasing, the balancing actions available to the system operator were typically more expensive. National Grid responded to the system’s sudden imbalance - after excess generation for most of the day - by calling upon pump storage to ramp up by 1GW. This continued until gas generation could match demand. During these settlement periods, the final price of £140/MWh was set by an accepted offer to increase generation from Dinorwig pumped storage hydro. Settlement periods 35 (17:00 – 17:30) on 4th February and 4 (1:30 – 2:00) on 5th February had the lowest imbalance price of the week: £0/MWh. During these times, National Grid called upon pumped storage hydro plants to consume power and increase demand. This meant that the pumped storage hydro plants at Cruachan (on 4th) and Dinorwig (on 5th) were effectively consuming free electricity while pumping water from their lower to upper reservoirs. This was sensible preparation for when National Grid is short of supply again and needs the plants to help balance the system. Week 6 was a particularly volatile week for renewable generation in the UK, with wind output reaching over 10GW on most days yet also dropping down to as low as 2GW. 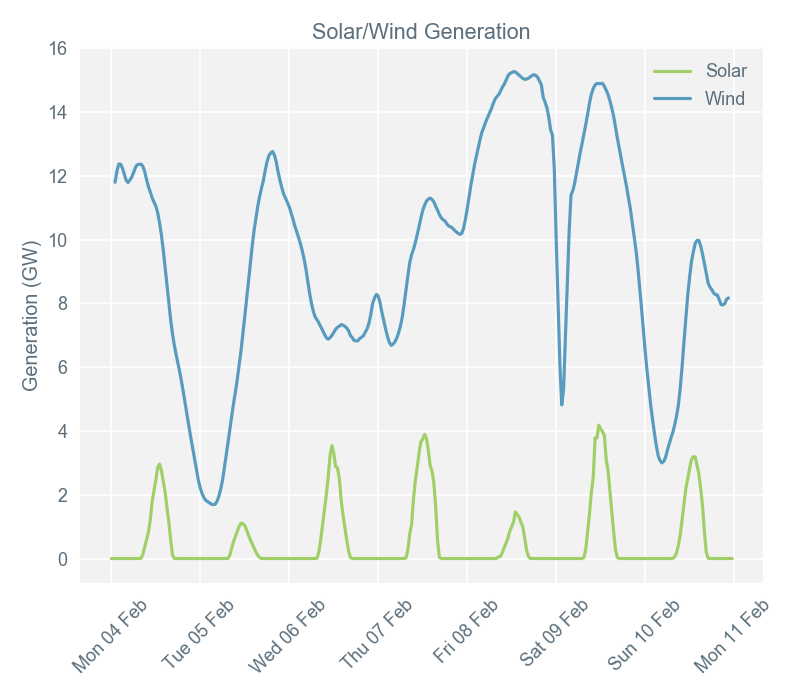 Wind peaked at over 15GW on both 8th and 9th February, contributing close to 40% of the UK generation mix at these times. The UK currently has 20.7GW of wind capacity, so when wind output was 15.3GW on 8th February (the highest in 2019 so far), it was operating at 74% load factor. This year’s highest 20 settlement periods of wind output were all on 8th or 9th February. Such a high level of wind output, plus milder temperatures, almost entirely removed coal-fired generation from the UK fuel mix on 9th February. This is something we’ve not seen in the UK for some time and it didn’t happen in week 6 either, due to coal-fired plant running during that day’s evening peak. 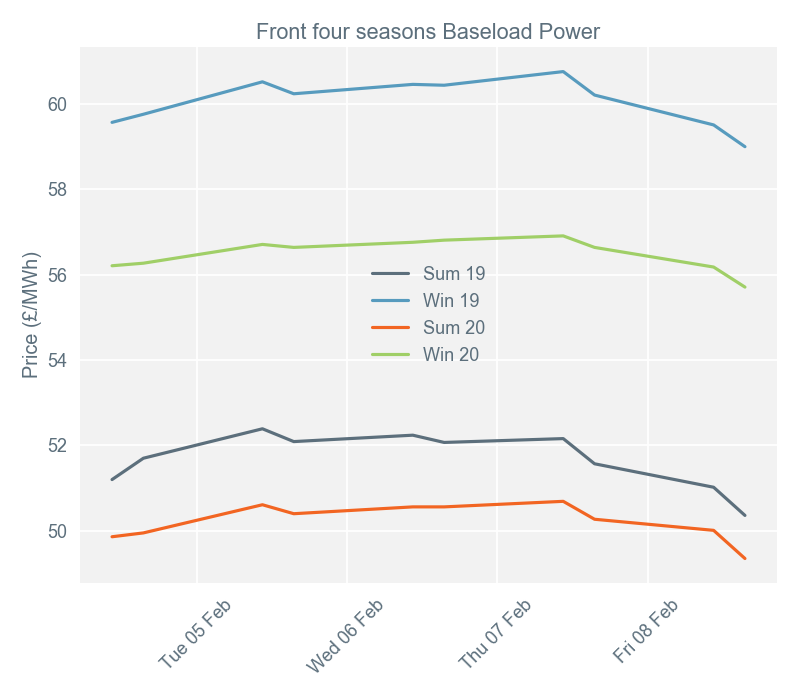 Secure and promote* (Seasons +1, +2, +3, +4) baseload contracts lost on average £0.60/MWh over week 6, as the bearish momentum continued - despite most of the week showing some upward movement. Strength on the European carbon market during trading on Monday 4th lifted the front 4 seasons, although bearish sentiment on the wider energy complex limited carbon’s influence over later-dated contracts. The curve experienced further upward movement on Wednesday 6th, bolstered by a stronger wider-fuels complex. However, these gains weren’t as pronounced as they’d been two days earlier and carbon prices stabilised. The week ended on a bearish note, reversing all of the gains made in the preceding days. The whole of the wider fuels complex experienced losses, with the European coal benchmark losing heavily. The Brent Crude Oil benchmark continued its downward trend, dragging indexed National Balancing Point (NBP) gas contracts with it. This was a significant driver of the reduction in coal price.